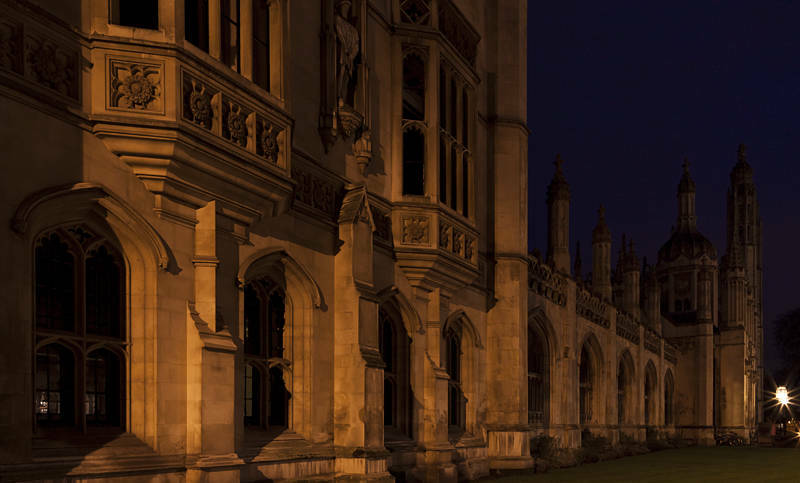 I was hoping to get a night shot of Kings College Chapel but unfortunately it was not lit up. Instead I used a street light which illuminated the College further down the road. The sky did need some work. Mainly noise removal, also lightened and strengthened the colour a little.